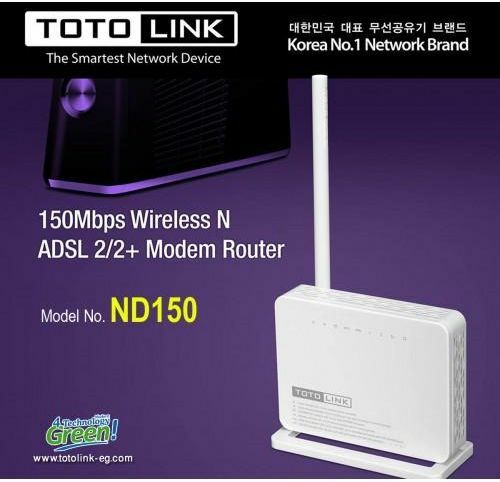 ND150 is a Wireless N ADSL Router which integrates the functions of high speed ADSL Modem, wireless router and 4-port switch. It complies with the most advanced IEEE 802.11n standard and can deliver up to 150Mbps wireless data rate. It also supports the latest ADSL 2/2+ standards to provide higher performance for users and make the transmission coverage wider than other devices.